The first photos from our weekend away are in. These are by Anna and feature Saturday evening’s home-made entertainment, earth hour and a few photos of (not quite) the whole group (can you work out who is missing? There is the photographer a certain one who arrived too late to get in the pic and someone who seems to be hiding behind Mavis). Enjoy! Many of us from DBC spent last weekend at Thornleigh Hotel in Grange over Sands where we held a very enjoyable Church Weekend Away. The venue was excellent. About forty five of us went and, as far as I am aware, everyone had a great time. We had opportunity to worship, learn and pray together and time to socialize and just be together. 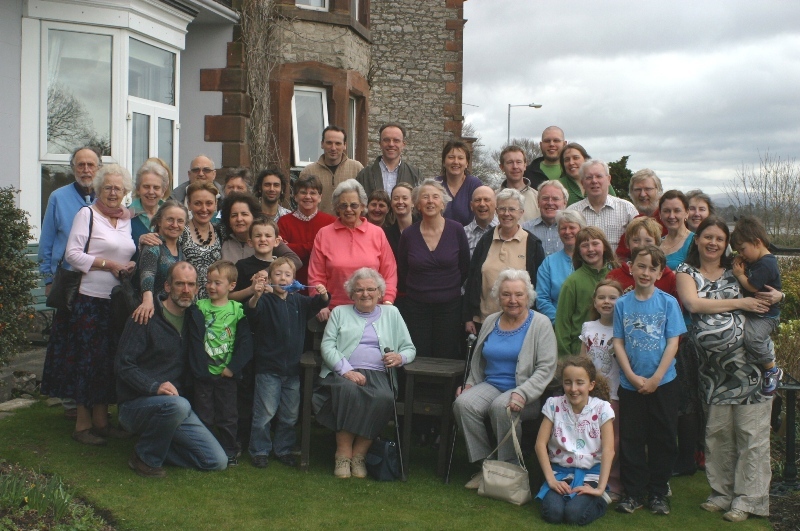 The photo below shows most of the group though one of our number missed the photo op. and one was serving as photographer. Other than that, most of the groups is pictured below. Other photos will follow (if you have any send them to me and I’ll include them). The South Manchester Reporter is carrying a short column on the RSPB hustings event scheduled to take place at Didsbury Baptist Church on Thursday 25 March. You can read it here. 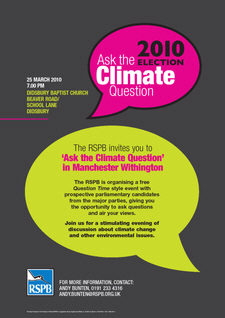 Next Thursday (25 March) at Didsbury Baptist Church there will be a hustings event organized by the RSPB called Ask the Climate Question. This will be a Question Time style event with prospective parliamentary candidates from the major parties for Withington Manchester. Similar events will be taking place all over the country as The RSPB, Christian Aid, Oxfam, Tearfund, WWF-UK and other organisations have joined forces on this crucial issue to ask all their supporters to Ask the Climate Question. For more information, or to submit a question in advance, please contact Andy Bunten by telephoning 0191 233 4316, or e-mailing andy.bunten@rspb.org.uk. 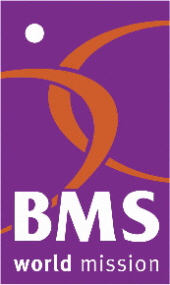 At Didsbury Baptist Church we are participating in the Lenten Ecumenical Bible reading programme put together by Churches Working Together in Didsbury. 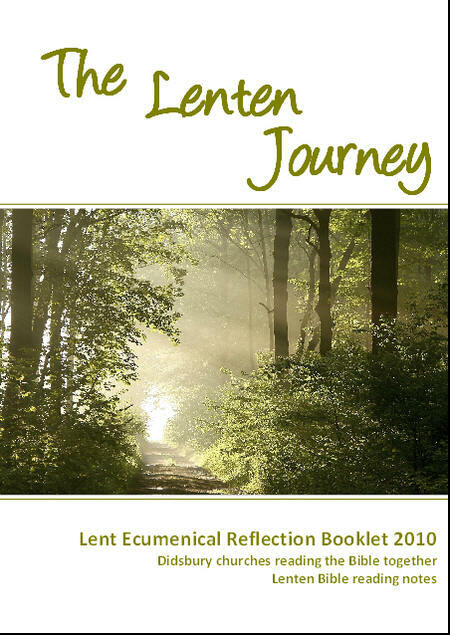 Members of our church have contributed articles to the accompanying booklet of daily readings. They appear under the headings for the next seven days starting today. Nicky Jackson’s article is the first and it is published online today on the CWTiD web site.